“Businesses don’t plan to fail, most just fail to plan.” Rick Munson, a certified Business/Executive Coach and expert in business strategy, shows how to create and evaluate a strategic plan and execute that plan effectively. He guides you through the strategic planning process from start to finish, providing actual examples and case studies along the way, as well as practical illustrations. Regardless of your industry, line of business, or sector, having a strategic plan in place is critical to business success. 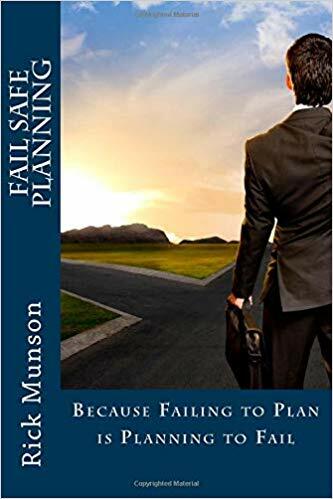 Fail Safe Planning: Because Failing to Plan is Planning to Fail helps companies to discover their true path to success and to fine tune their business strategies into a comprehensive plan for growth and wealth creation.